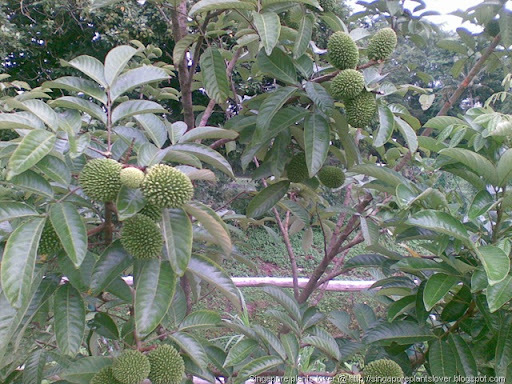 The fruit shown looks similar to rambutan but it is actually buah pulasan. 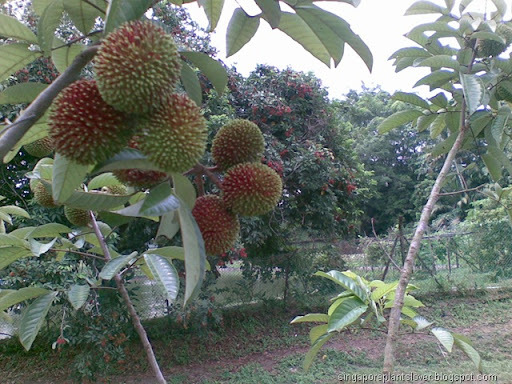 The fruit has short spikes instead of longer "hair" for rambutan. 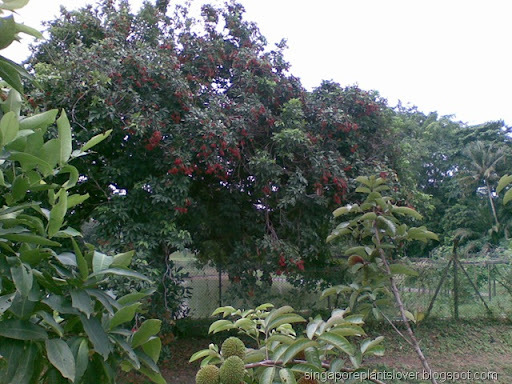 I had seen this fruit tree at the entrance of the catholic ccemetery at Jalan Bahar.